It was great to see that the Panasonic Lumix FT10 camera caught on the end of a fishing line was a true story, and not one invented by a public relations firm or communications agency (Lost Panasonic camera mystery solved). 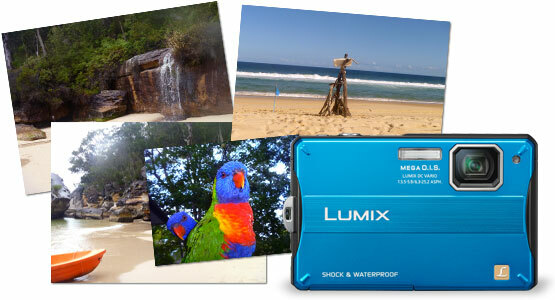 For those who weren’t following the story, “Adam Biro, a glazier from Fairfield East in NSW, snagged the Panasonic Tough Lumix FT10 Camera at Cottage Rock in Cowan Creek while fishing near an inlet on the Hawkesbury River (NSW) on October 15 – seven days after the last image had been captured on the camera.” (http://blogs.panasonic.com.au/consumer/2011/11/02/does-this-lumix-ft10-belong-to-you/) You can see the Twitter #LostFT10 stream here. It’s one of those stories that is a great PR opportunity for the company concerned. However there was a very high degree of scepticism in the media and the general public that it really happened. It was almost too good to be true – a new model waterproof camera fished up from the bottom of a river, still working; a series of nice photos from the camera to publish to help ‘identify’ the owner; and a ready-made story perfect for spreading virally via social media. Many years ago (pre-Internet!) and in a much smaller way, my stepfather’s business had a similar opportunity for great PR. His business was importing tools and laboratory equipment, including German-made locks. One of his Australian retailers sent him a photo of a high-end padlock that had been mangled almost beyond recognition – but you could still make out the lockmaker’s logo. The story was that this lock was one of a number of other locks securing a warehouse. Burglars attempted to break in with a massive pair of bolt cutters but, despite being badly damaged, the lock held firm! However, they still managed to break in, through another entrance that was using a cheaper brand padlock. It was a great story, and the picture was used as a great selling tool for that particular brand. These days, that story would probably be taken with a large grain of salt, and wouldn’t have the same sort of impact that it had back then. It’s a shame that these stories are no longer taken on face value. We’ve got to the Boy Who Cried Wolf stage, where we have been hoodwinked so many times by fake PR stories that we no longer believe the story that turns out to be true. The lost jacket story was the one that tipped things over the edge. A woman was trying to find a man who had left his jacket behind in a cafe, which just happened to be from a certain fashion label’s new season range. What made it worse was that the people involved in the stunt initially denied it was a fake story. So, what do you do if you are given a golden PR opportunity for your business like the unbreakable padlock or the camera brought up from the murky depths? Second, how hard will you promote it in the media or in the public domain? Third, is there a good reason for you to tell the story in the first place – which is more than simply promoting the product or service? Fourth, what is the likelihood that the story can be independently verified as being true? Fifth, what level of involvement do you have, or does your comunications agency have, in the process? And, finally, what is your strategy when you are challenged on the story’s truth? Watching the Panasonic camera story play out over the past week, I think both Panasonic and Suede (Panasonic’s digital communications agency) have handled things pretty well.